In my memories of being small and playing at the dressing tables of aunts, grandmothers and my own mother, three brands all feature prominently: Anais Anais perfume, Pond’s cold cream cleanser and Oil of Ulay. Well, I can’t remember the last time I saw Anais Anais for sale and I don’t know anyone who still uses Pond’s. But, despite a vowel change and losing the “oil of” precursor , Olay is still one of the most prominent brands in skin care in the market. It is still used by virtually all of the women in my family and I am a convert. Sure, I tried other brands over the years but kept coming back to Olay and now, I don’t bother trying anything new. The range is fantastic. As I get older, my skin is changing and Olay have a product for it. From moisturisers to cleansers to eye creams, Olay have me covered. 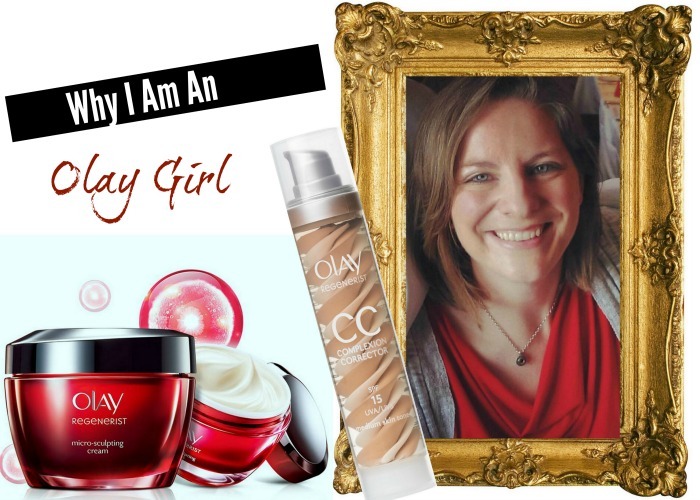 I started in my late teens and early twenties using the Olay Essentials Classics range- a simple straightforward approach to skin care that is light and easily absorbed. The moisturisers come in day and night creams, and come with the option of sensitive or normal/oily skin. I’m also a big fan of the subtle scents the creams have. I then graduated up to the Essentials Complete range- the same idea, but with added SPF protection in the daycream and Vitamins B3 & E and Pro-Vitamin B5 added to the night cream. In recent years, I have started using the Anti-Wrinkle range. Again, it has all the benefits of the preceding ranges but with small changes to reflect how my skin is changing as I get older. Currently on the shelf in my bathroom I have the Anti-Wrinkle Sensitive Skin Day Cream with SPF15 and the Anti-Wrinkle Nature Fusion Night Cream. Helpfully, the packaging tells you the age category it is targeted towards too! So while I’m not due to change again for a while, when I do, I’ll be sticking with the Olay brand.